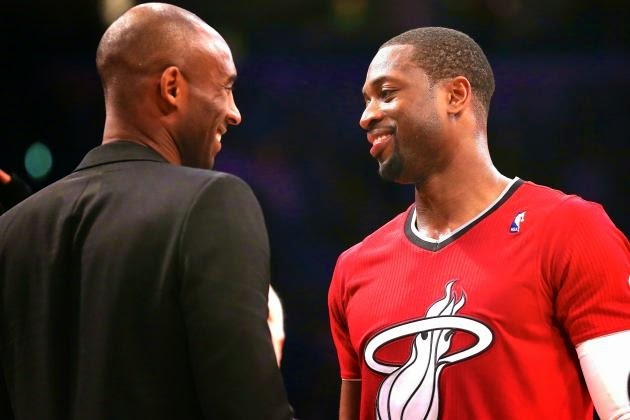 While in Detroit, Dwyane Wade was asked about Kobe Bryant's interview with the New Yorker in which he criticized the Miami Heat's support of Trayvon Martin. Wade quickly dismissed the notion that race---which was implied by Bryant---had anything to do with the team's support of Martin. "It was our backyard, and being in our backyard, being something that a lot of guys on this team—not only growing up in the kind of environment that Trayvon was in—but also having young boys," Wade told Bleacher Report. "Knowing that he is a big fan of the Miami Heat. That is something that we got behind. As a team. I can't even say the organization. It was as a team. We got behind it. And it was more so that than the color of his skin." What do you think about Wade's response?